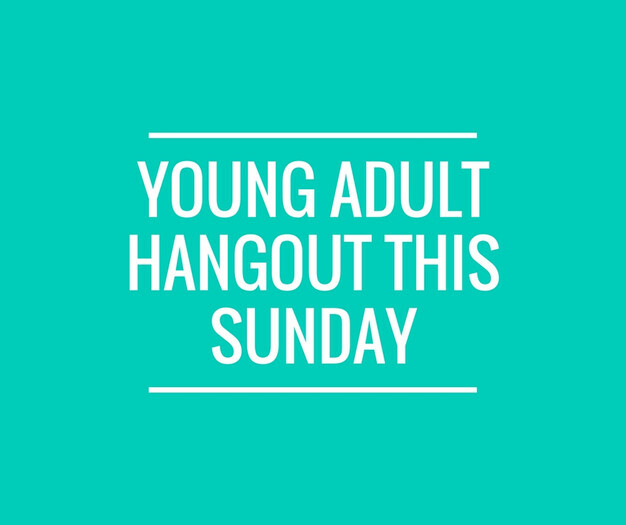 Young Adult Hangout This Sunday! YOUNG ADULTS: Don’t forget that we have a hangout just for you this Sunday, April 22 from 4:30-9:00 PM at the home of Brad and Sarah Stockham. This is just a time for you all to be together and hang with an incredible family. They are providing dinner for you so no need to worry about getting food before you go. Invite your friends who may need a little bit of a break before finals start up. If you have any questions please don’t hesitate to reach out to Brad (m: (626) 497-1799; e: bradhstockham@gmail.com).